Visit Cassin's X-All Mountain page. C.A.M.P. 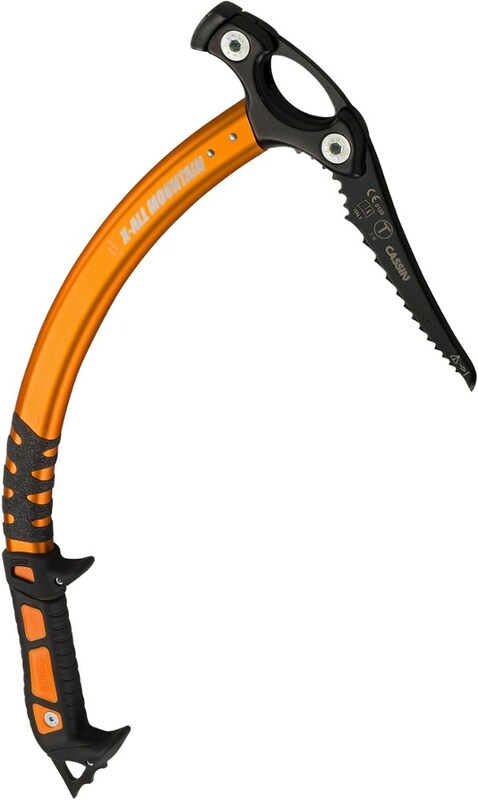 Alpine & Ice Climbing X-All Mountain Ice Axe-50 cm-Orange 2521. A.M.P. 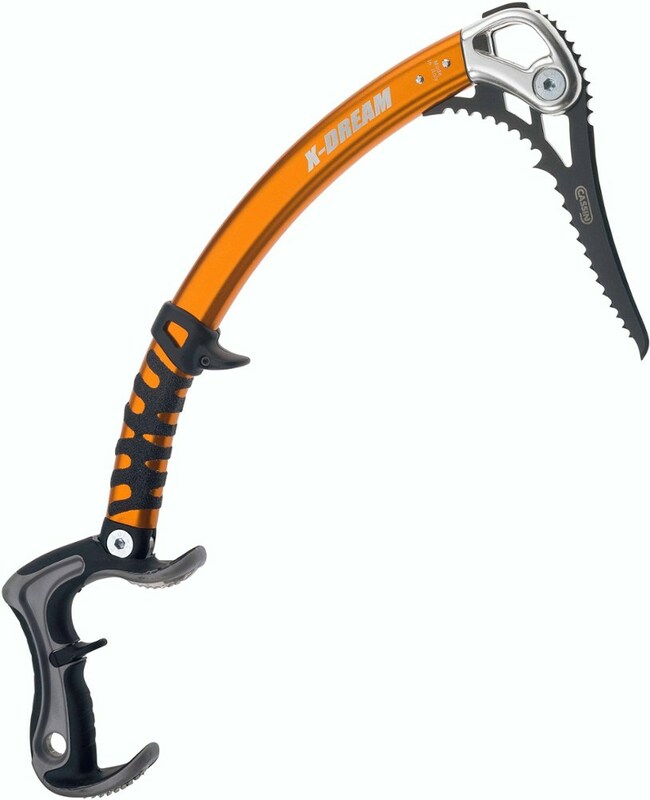 X-All Mountain Ice Axe is a simple ice axe that does everything well. 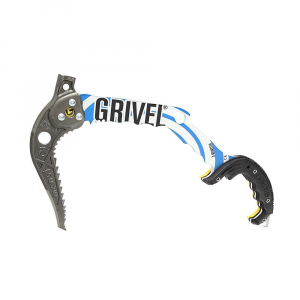 It is a perfectly-balanced fine-tuned high-quality ice climbing machine. Due to its simplicity it climbs all angles of ice with much more fluidity and consistency than other modern ice tools. The profiled pick and perfect head weight make it one of the best tools for thin ice where it penetrates aggressively with minimal impact on the ice. C.A.M.P has increased the size of the main pommel on the handles to provide an extra four milimeters in width and length for use with thicker gloves. For climbers who have experienced the frustrations of pick bounce ice bashing and shoulder fatigue common with the more aggressive mixed tools or more classic style tools try swinging the new X-All Mountains for welcome relief. Once you do there will be no going back. Command a presence, whether you??????? ?re dressing for style or suiting up for the outdoors. This universal, relaxed wrap-around frame offers an excellent degree of coverage with its medium-size frame and polarized lenses providing full UV protection. Equipped with megol rubber nose pads, so, even when you sweat, these sunglasses stay in place. . . . Frame made out of injection-molded TR90 grilamid. . Features polarized polycarbonate lenses. . Designed with an 8-base lens curve. . Offers 100% UV protectionWrap style with tortoise frame and brown lensesComes with megol rubber nose pads for additional comfort. . This product contains a chemical known to the state of California to cause birth defects or other reproductive harm. . Imported. . Putting the "all" in "all-mountain," the C.A.M.P. 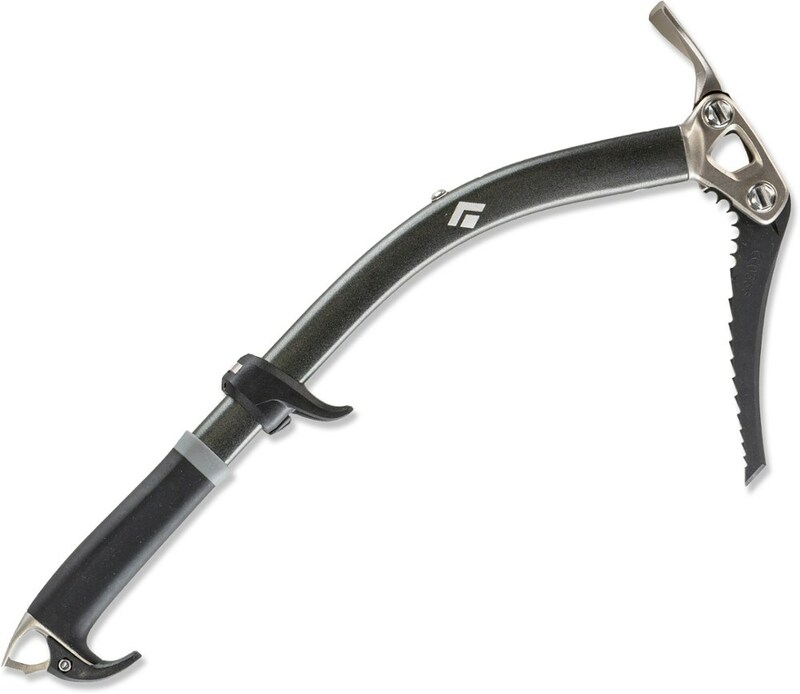 USA X-All Mountain ice tool comes with interchangeable grips for alpine and snow climbing plus an extra pick that can be used on low-angle glaciers.